Small things, small things. When layouts seem too large to get stuck into I've been turning to cards. I'm mostly finished up with my Christmas design - so, what's next? A few "thank you's" felt like a good thing to start on. We'll need to talk about next year. Next year! What do you think? Maybe everyone is story-ed out. Though we only need a few to make it worthwhile..
To everyone who has emailed me this week with your news. You know who you are. I hope corners are turned and spirits are lifted for you all as we make our way through December. Keep in touch. Cards today made with scraps from other projects and some fluffy twine pompoms with the method I photographed here: Twine Pompoms. Stamp from a kit by Citrus Twist. These are beautiful, Sian! 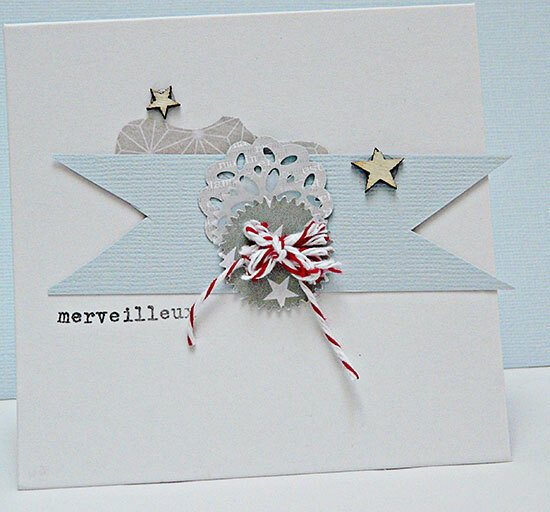 The colors are magical, and stars are one of my favorite embellishments. I see several embellishments here that are tucked in my drawer and should definitely get put to use. Thanks for the inspiration! YAY - congrats on hitting the 500 mark - is that better than last year's total? Sweet, sweet cards Sian. I presumed it was a given that there would be Storytelling in 2013. How can there not? But with a new twist, perhaps? You are so clever, so I will look forward to it for sure. I'm still managing to work my way through all the lovely tales in December, but just 1 or 2 a day. It adds a bit of sanity to these busy days. Thank heavens for all the storytellers! Lovely, lovely cards! Looks like they were fun to make. Congrats on hitting 500. I do enjoy reading the stories, even if I'm not much of a story teller myself. Lovely cards Sian..well done on hitting he 500 mark! What's that? Sian's thinking of not continuing storytelling sunday in 2013? Open that bottle of sloe gin and pour me a glass to get over the shock! It never occurred to me that it may come to an end. That'd be like Rinda not doing a Scavenger Hunt! I am sure that with a little bit of a twist we can all squeeze another 12 stories out. And you are certainly the person with the imagination to think of what that twist should be! Really really wonderful cards. I still need to make my own cards - this is great inspiration. Ahh, you have some of my favourite colours there today. StS has been one of the things this year that has given me a focus with blogging and scrapping - most stories have become pages. However, I have had commentator guilt. Up until recently I have tried to comment on everyone's stories each month and in the last couple I have just not been able to and it makes me a little sad because everyone goes to so much effort and I want to acknowledge that fact. That's just me airing my thoughts, it is wonderful that so many people are willing to share! I love StS and will miss it if you feel you'd like to move on to new adventures - but I completely understand if you do because it can turn into something that creates pressure and expectation - despite all the fun. I enjoy StS, though I spent more of the time reading along rather than writing my own. 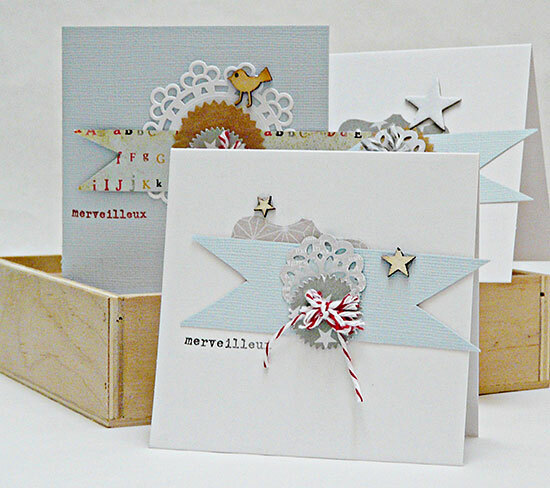 Such lovely gentle colours in your pretty cards. I have loved joining in with StS. I've only missed a couple this year, I think, this month being one of them. I decided my story was just too sad, for this festive time of year, but it did me good to write it. such pretty cards and I'm sure we still have stories to tell! Your cards are beautiful! So terrific to use up those scraps and I love your twine pompoms! Sian - I have loads more stories to tell - and as I might actually have time to join you I would love to be a part of it once again. I meant to post many more stories this year - but life had a different path for me to tread - so perhaps next year I might be able to be on "the road not taken" this time. Love the cards. They have a New Year's Eve feel to me! And speaking of the new year, I'd love for there to be more story telling. I love the opportunity to really focus on my writing. 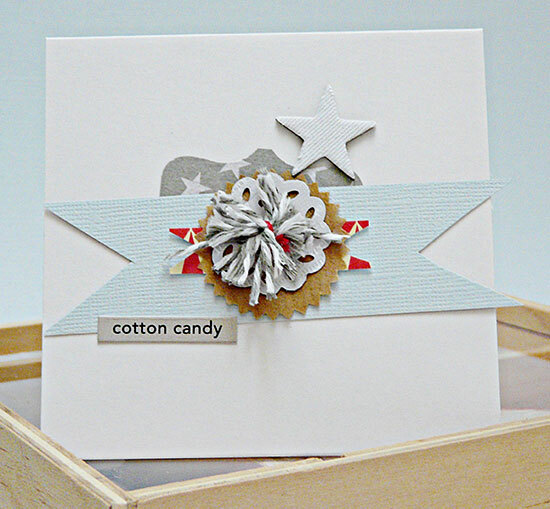 I always enjoy your cards---what a great way to use up bits and pieces from your layouts too. I just never seem to find the extra time for that. Lovely gentle colours on these - do love those little wood birds and am miffed that SC have stopped doing them :( Pretty cards - well done on being almost finished with the Christmas ones too. Finalised the design and started the creations at least yesterday. STS is something I enjoy - perhaps you should ask for theme suggestions to give you a pool to choose from? My family are used to being asked questions with the excuse being 'well Sian's theme for STS is....' You spark the most interesting dinner conversations occasionally! Lovely cards & a huge thank you to YOU for helping us get our stories recorded during STS each month this year! Gorgeous cards....and although I don't always join in Storytelling Sunday.....I do love it.....and hope it continues....so thanks to you for your organisation of it. Well done on gathering 500 memories! Although I missed a few this year I really enjoyed joining in with telling my story and reading others so I hope it continues. Love the cards. Such very pretty colours - feels very Scandanavian :). Beautifully photographed too. oops i missed a post - how did that happen :) wonderful cards Sian..i love the soft colour combination. Congrats on the 500 mark! I hadn't realised that I had missed it until mid way through December. I whole month seemed to get gobbled up ... all the days seemed to become one!